We export High voltage cables to Afghanistan, Albania, Algeria, American Samoa, Andorra, Angola, Anguilla , Argentina, Armenia, Aruba, Australia, Austria, Azerbaijan, Bahamas, Bahrain, Bangladesh, Barbados, Belarus, Belgium, Belize, Benin, Bermuda, Bhutan, Bolivia, Bosnia-Herzegovina, Botswana, Bouvet Island, Brazil, Brunei, Bulgaria, Burkina Faso, Burundi, Cambodia, Cameroon, Canada, Cape Verde, Cayman Islands, Central African Republic, Chad, Christmas Island, Cocos (Keeling) Islands, Colombia, Comoros, Congo, Congo, Costa Rica, Croatia, Cuba, Cyprus, Czech Republic, Denmark, Djibouti, Dominica, Dominican Republic, Ecuador, Egypt, El Salvador, Equatorial Guinea, Eritrea, Estonia, Ethiopia, Falkland Islands, Faroe Islands, Fiji, Finland, France, French Guiana, Gabon, Gambia, Georgia, Germany, Ghana, Gibraltar, Greece, Greenland, Grenada, Guadeloupe (French), Guam (USA), Guatemala, Guinea, Guinea Bissau, Guyana, Haiti, Holy See, Honduras, Hong Kong, Hungary, Iceland, India, Indonesia, Iran, Iraq, Ireland, Israel, Italy, Ivory Coast (Cote D`Ivoire), Jamaica, Japan, Jordan, Kazakhstan, Kenya, Kiribati, Kuwait, Kyrgyzstan, Laos, Latvia, Lebanon, Lesotho, Liberia, Libya, Liechtenstein, Lithuania, Luxembourg, Macau, Macedonia, Madagascar, Malawi, Malaysia, Maldives, Mali, Malta, Marshall Islands, Martinique (French), Mauritania, Mauritius, Mayotte, Mexico, Micronesia, Moldova, Monaco, Mongolia, Montenegro, Montserrat, Morocco, Mozambique, Myanmar, Namibia, Nauru, Nepal, Netherlands, Netherlands Antilles, New Caledonia (French), New Zealand, Nicaragua, Niger, Nigeria, Niue, Norfolk Island, North Korea, Northern Mariana Islands, Norway, Oman, Pakistan, Palau, Panama, Papua New Guinea, Paraguay, Peru, Philippines, Pitcairn Island, Poland, Polynesia (French), Portugal, Puerto Rico, Qatar, Russia, Rwanda, Saint Helena, Saint Kitts and Nevis, Saint Lucia, Saint Pierre and Miquelon, Samoa, San Marino, Saudi Arabia, Senegal, Serbia, Seychelles, Singapore, Slovakia, Slovenia, Solomon Islands, Somalia, South Africa, Taiwan, Tajikistan, Tanzania, Thailand, Togo, Tonga, Tunisia, Turkey, Turkmenistan, Tuvalu, Taiwan, Turkey, Vanuatu, Venezuela, Vietnam, Yemen, Zambia & Zimbabwe. These Heavy Duty Rubber Cables offered by us in the market, are known for their high resistance to heat, voltage and load. Used in several industries for the purpose of various heavy duty operations, these products are highly preferred in the market. Owing to the raw materials used in its manufacturing, the products are highly flexible, provide high performance and are highly reliable in nature. Owing to the vast and experience of this domain, we have been able to offer a wide range of high grade High Voltage Cables to our valuable customers. Available with us at highly affordable market prices, these cables are widely used for transferring high voltage electricity from one source to another. In addition to this, these cables are highly appreciated for their ability to withstand high temperatures. 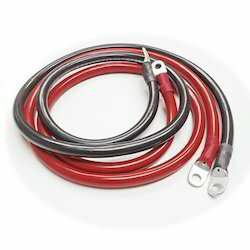 Elastomer (rubber) is an insulating material with high dielectric strength having a decent property of flexiblity ,the Elastorneric cables are suitable for applications for electric iron leads , reeling &unreeling application in mining, heater leads ,elevators cranes & other high dielectric & flexible application.The Bhuwal Cables are manufactures wire and cables to IS 9968 (Part-1) /1988 & Part -II ,IS 14494 , IS 9857/1990 For Welding Cables. There are various type of compounds according to the grade & properties as per IS:6380 Such as a general purpose, heat resisting & high temperature insulation. The elastomeric cables are suitable for use where the combination of ambient temperature & temperature - rise due to load remains stable up to the following limits in the conductors. BHUWAL CABLES LIMITED is one of the leading manufacturers of varieties of Elastomeric Cables made of Natural and various types of Synthetic rubber compounds. The compounds based on EPR, CSP,NBR-,EVA,Silicon are made in the most modernised plant by highly skilled hands to suit the specific operational regiments, continous R & D and upgraded production technology are the main features of Elastomeric Cables. We bring to clients a comprehensive range of Welding Cables that include electrical and electromechanical welding cables. 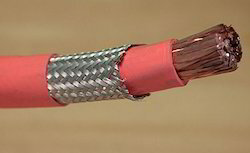 These Welding Cables are manufactured using various electrometric materials that we procure from reputed vendors. We offer Welding Cables in accordance to the CE specifications and international parameters. We are the well established names engaged in offering a broad range of Silicon High Voltage Rubber Cables. These cables are made using extreme quality silicon accompanied by sophisticated technologies. Our well trained laborers design these cables under the supervision of the professional experts. Moreover these are tested on certain parameters to ensure its quality. We offer these cables at competitive price range. With rich industry experience & knowledge, we have been able to provide the best array of Battery Cable. The offered cable is manufactured under the observation of our ingenious professionals using pristine quality raw materials with the aid of avant-garde techniques. Our company “Bhuwal Cables” is India’s renowned Stockiest and Dealers of a wide range of Elastomeric Cables (Rubber Cables). We have more than 55 years of vast experience in Cables and Wires. It enjoys a pioneer status in Elastomer Cables segment in India and has been supplying a wide range of Elastomer Cables to various industry segments viz. Railways, Ship-Building, Steel, Cement, Power plant , Defence, Mining sector, construction sector , Solar Panels Etc. We are specialist in all types of Elastomeric Cables (Rubber Cables) such as EPR Rubber Cables, PCP Cables, CSP Cables, VIR Rubber Cables, TRS Rubber Cables, Silicon Rubber Cables, Welding Cables, Trailing Rubber Cables, EPR Insulated Cables, Butyl Rubber Cables, Trailing Rubber Cables, Neoprene Cables, H07RN-F Rubber Cables, Mining Cables, Lift Cables, Marine Cables, Wind Mill Cables, Fibre Optic Cables, Profibus Cables, HR-90°c, Flat Submersible Cables, EPDM Cables, NBR Cables, EVA Cables Etc.